After Hungary was liberated Tom Lantos and her family returned to Budapest where Tom Lantos and Lantos met again. " 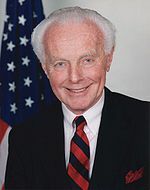 In 2008 after his death the Congressional Human Rights Caucus which he founded in 1983 was renamed the Tom Lantos Human Rights Commission. Lantos had announced in early January 2008 that he would not run for reelection because of cancer of the esophagus but died before finishing his term. In speaking before the House of Representatives after his death House Speaker Nancy Pelosi stated that Lantos "devoted his public life to shining a bright light on the dark corners of oppression. " In 2008 after his death the Congressional Human Rights Caucus which he founded in 1983 was renamed the Tom Lantos Human Rights Commission. Lantos was the only Holocaust survivor to have served in the United States Congress.